Alice Walker's Pulitzer Prize-winning epic spanning 40 years in the life of a black woman who faces abuse has since been set to a score rooted in the American South for Portland Center Stage's big season-opening musical. Don't even think about trying to make it through Celie's journey of self-discovery without a stash of tissues. Portland Center Stage, 128 NW 11th Ave., pcs.org. 7:30 pm. Through Oct. 28. $25-$87. It's the 25th anniversary of Exile in Guyville, Liz Phair's dirty-talking lo-fi classic, which means it's time for an anniversary tour. Good thing—we're long overdue for a reminder of just how cool Phair was and still is. Crystal Ballroom, 1332 W Burnside St., crystalballroompdx.com. 8:30 pm. $25 advance, $30 day of show. You've seen the swifts. But have you have ever seen the swifts…on weed? Birdwatch with fellow cannabis-loving women, but be warned—the ever-looming threat of hawks snatching one of those poor birds right out of the sky can really harsh your buzz. Chapman Elementary School, 1445 NW 26th Ave., tokeativity.com. 6 pm. Free. Abstract art can seem an incoherent jumble of wall candy. But after The New York Times ran a negative review of an exhibition at the Museum of Modern Art, a longtime Portland cable access producer wanted to find meaning in contemporary expressionism. Jefferson Kincaid's four-year inquiry resulted in this film that feels like wandering through a museum gazing at images that slowly begin to blur into one another. NW Film Center's Whitsell Auditorium, 1219 SW Park Ave., nwfilm.org. 7 pm. $5-$10. 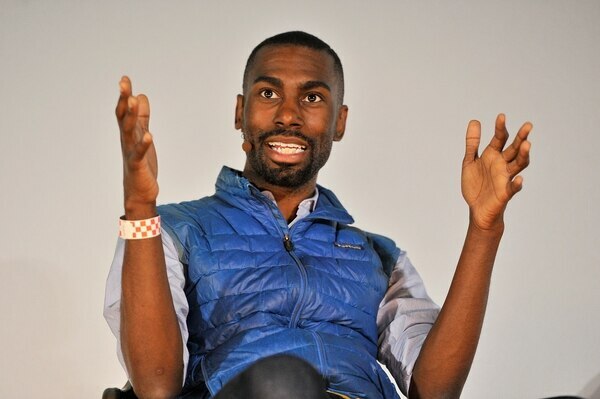 Mckesson—he of the signature puffy blue vest—emerged as the first celebrity activist of the Black Lives Matter era. On the Other Side of Freedom: The Case for Hope, his new book, is a firsthand account of the fight against racial injustice in America. His appearance tonight is billed as a "no-holds-barred conversation about inclusion, community and progress." Arlene Schnitzer Concert Hall, 1037 SW Broadway, portland5.com/arlene-schnitzer-concert-hall. 7:30 pm. $15 general admission, $40 reserved orchestra seating. Deep Space Brewing opened last year in what's essentially a Chuck E. Cheese's—minus the creepy animatronic characters—giving parents a place to relax with beer while their kids run loose. The first festival sticks to a family-friendly theme: craft soda for minors and beer made by breweries all located west of Portland for adults. Out of this World Pizza, 6255 NE Century Blvd., Hillsboro, deepspacebrewing.com. 4-9 pm. Through Sept. 22. $10-$20. You may know Amber Nash better as the voice of Pam Poovey, the true hero of the animated spy series Archer. Tonight, she joins one of the Curious Comedy mainstage teams, along with her husband, Kevin Gillese, for a long-form game of improv in which the object is to create a screenplay on the fly based on suggestions from the audience. Curious Comedy Theater, 5225 NE Martin Luther King Jr. Blvd., curiouscomedy.org. 9:30 pm. Through Sept. 23. $10-$12. The classic celery stick just doesn't do it anymore. 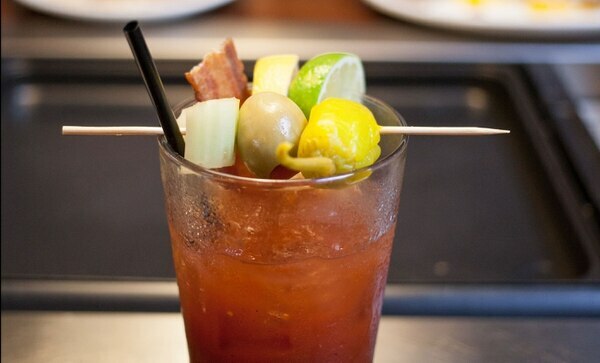 Bloody marys have become spectacles with entire salad bars or even diner-sized hamburgers skewered and served as garnish. 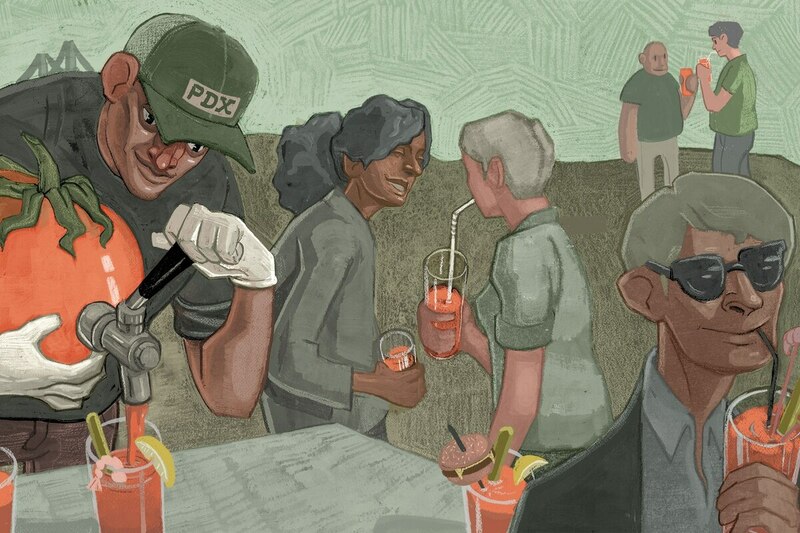 Fourteen Portland restaurants will give the beverage of brunch their own creative spin at this festival. After you drink, vote for your favorite in the People's Choice contest. District East, 2305 SE 9th Ave., thebloodymaryfest.com. 10:30 am-6 pm. $45. 21+. Death Cab for Cutie has built their legacy on Ben Gibbard's high-pitched crooning about love and heartbreak. But after two decades of melancholy, Gibbard is actually sort of…happy. New album Thank You for Today, Death Cab's first without founding member Chris Walla, is the shiny sound of a new beginning in the form of glossy indie rock and midlife meditations about gentrification. Keller Auditorium, 222 SW Clay St., portland5.com. 7 pm. $36-$59. The 1991 feminist film classic about two women ditching their husbands and embarking on a road trip-turned-accidental crime spree is still relevant 27 years later. Coincidentally, that's exactly how old Brad Pitt was when he got his big break as Thelma's hitchhiker love interest. B. Frayn Masters, co-founder of live storytelling show Back Fence PDX, will speak before the screening. Hollywood Theatre, 4122 NE Sandy Blvd., hollywoodtheatre.org. 7 pm. $9. 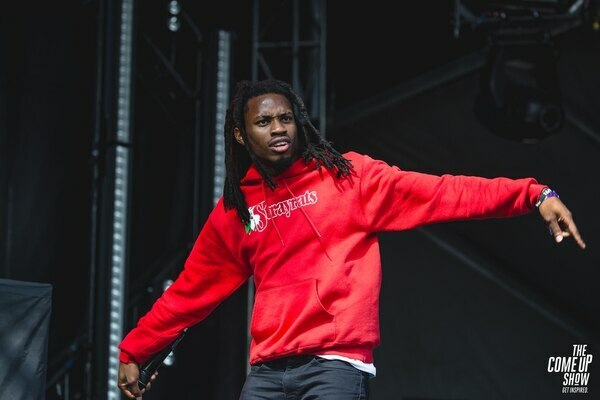 When rapper Denzel Curry debuted as the youngest member of the Raider Klan, he quickly gained a reputation as a motor-mouthed firebrand with a fondness for heavy, trippy music. But his new album, Ta13oo, firmly establishes Curry as a versatile talent more capable of putting together a well-rounded album than many of his peers. Roseland Theater, 8 NW 6th Ave., roselandpdx.com. 8 pm. Sold out. All ages.